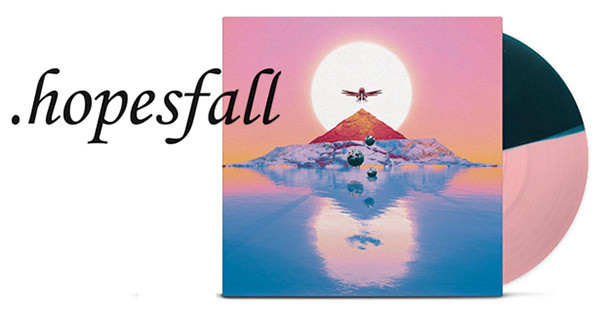 As expected, North Carolina's Hopesfall will soon release their first new album since 2007's Magnetic North. The new outing has been titled Arbiter and will hit streets on July 13 through Equal Vision Records imprint, Graphic Nature. Its cover artwork can be viewed above while its track listing is below. "After Magnetic North, I felt like we left unfinished business on the table," shares vocalist Jay Forrest. "I think Hopesfall has carried the underdog chip on our shoulder for the majority of our playing career. That's given us an edge that has defined our music." He continues: "Now, we've hunkered down and cast our antenna out to tap into this vast creative universe. We're counting on the listener to complete the creative process and help decode the transmission. Barring World War III, I think this album will stand amongst our best." A new track titled "H.A. Wallace Space Academy" has surfaced online and can be streamed via Loudwire.